You are at the Black Cat Root Shack Home Page. 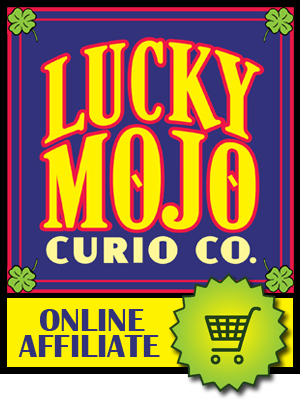 You can also shop for Lucky Mojo Hoodoo Oils and other Magical Oils and Potions or look at our various Lucky Mojo Sachet Powders and Self Lighting Incense Powders from Lucky Mojo. Having a root doctor set lights for you is a traditional part of Hoodoo. These days, the most common type of candle that is burned on a clients behalf is a glass-encased vigil candle. I have put this FAQ together to give you an idea of how vigil candles are set and what you can expect. What does the Conjure Doctor Do? Root workers who set vigil lights on a regular basis are expected to have a dedicated altar space on which to do the work of conducting a private candle ministry. Using a glass-encased vigil candle, the traditional practitioner will dress the candle with BOTH herbs and oils. Most root doctors will ask for you to send them a picture, your full name, and your birthdate, along with pictures and names for anyone else that you have named on your petition. They will attach your picture and your petition to the candle. Some rootworkers will create the petition for you, others will ask that you send the petition to them in your own words. The candle will then be set on their altar, and lit with prayers and blessings for your work. The candle may take up to 7 days to be set, depending on how the worker schedules his or her work. The candle will burn on average of 6-7 days, though some burn in 5 and some in 9 days. The rootworker will then contact you via phone or email with a 'report' of how the candle burned. The report should include a general divination of the work; indications of success, failure, restrictions, and possible outcomes. A candle report is never as detailed as a tarot card reading, but a good candle worker will read divinatory signs in the candle. A candle report MAY take up to 3-4 days to be prepared. For instance, I do not write my reports as soon as the candle finishes. I may make notes as the candle is burning, but I wait until its finished for a final read, and I prefer to read a number of candles at a time, devoting a quiet afternoon or evening to the work. Depending on how each individual root workers does his or her reports, it can take up to 30 minutes to read the candle and write the report. Will the candle "do the job"? First off, you must understand that most conjure workers consider a single vigil candle to be an opening or introductory stage of work. That is to say, it is not the same as doing a full hoodoo ritual or spell. Therefore, results are often relevant to this. Some rootworkers specialize in certain kinds of candle work, such as love, money, court case, blessing, healing, etc. My specialties are money and court case work. Having a vigil candle set for you is an excellent place to start your magical path and can be effective for most kinds of spell-casting or conjure work. In many cases, a single vigil light will get movement on the situation. The opening price of a set-on-altar vigil candle is often MUCH less then hiring a rootworker to perform a full spell. A good candle worker will be able to read the candle and give you divination on the candle burn, guiding you to what may be additional steps needed to address the condition. However, you should not expect a single vigil candle to solve long-standing or extremely intense problems. Often times a single candle will positively effect the situation, turning it in your favour, and burning a series or "run" of vigil lights may produce even more positive results, but one candle alone should not be expected to produce complete resolution in every case. What did my consultant mean by "backing up the work"? One of the very best applications of a set-on-altar vigil is to "back up the work." What this means is that while you are doing magical spell-casting work on your own, such as a reconciliation spell or a money drawing spell, you can have your rootworker set a candle on your behalf to support the work you are doing. This is also known as "dual casting" or "tandem spell-casting." 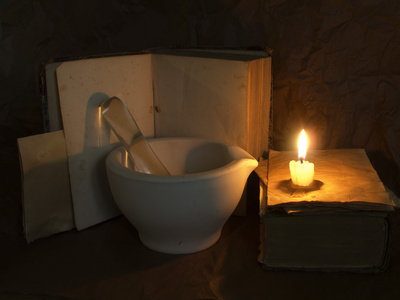 For instance, if you believe you have been crossed up and are going to be doing a series of uncrossing baths, it is good to have an uncrossing candle burned for you at the same time. Likewise, if you are going to court, you may do a great deal of preparatory spell-casting, and then engage the services of a candle ministry to set a light for you that will be burning on the altar during the day or days of your court appearances. Does the worker have pictures of their altar space that you can see? Do not pay more then $25.00 per candle for this kind of work. Many workers put a lot of time and effort into creating the candle artistically, and they should be rewarded for their work, however if you do not receive the candle, there is no way of knowing if that work was done on YOUR candle. Read the article on "Black Gypsies" by catherine yronwode. I have seen truly spectacular results from a single vigil candle. I have seen complex situations be affected by long term use of vigil candles. I had a client who asked to have a candle burned for her trip to a casino. When she called me back after she had gone for the trip, the results of what happened were clearly present on the candle. She had won, and then kept playing and lost it all. I have worked with a client whose Reconiliation candle clearly showed that the lover she had lost was ready to come back home -- until the client picked a fight and the lover left again. I have seen Uncrossing candles that helped for a few days, until it was made clear the client was still being actively worked against and thrown for -- that is, that the problem was not one where a simple Uncrossing would bring relief, because in addition to cleaning up the client, it would be necessary to defeat the enemy once and for all. How often should I burn candles? Clients who are considering burning more then one candle often ask how often they should have a candle burned. There are a lot of different opinions on this, and they vary a lot based on individual situations and cases. For instance, if your rootworker has told you that it will take up to three weeks to see movement on your situation, then burning candles "back to back" -- that is, every week -- could be a waste of money, because that first candle may have been all that was needed. Additionally, burning a second candle before you've gotten the divination report from the first candle may also be a waste of time -- what if the divination shows there is something completely different going on? I had a money candle burn for steady work, and the divination clearly showed that it was the HR director who was the problem, and was working against the client. I recommended switching to either a honey jar spell, or a controlling/compelling candle, because the issue went much deeper than mere money drawing. Yet, in certain situations, such as uncrossing work, hot foot work, reconciliation, and reversing -- in cases that are long standing, separated by distance, or have been left unattended tooo long -- repeated burns are often called for, not necessarily because it will take that long to solve the situation, but because the cause of the situation is ongoing, and the vigils are "keeping the work hot." In situations such as these, if your spiritual worker says that the case looks like it will take a serious effort because of long-standing conditions, you may wish to have a series or "run" of lights set -- anywhere from three, to seven, to thirteen candles being traditional numbers used in this context. Having a vigil set for you is a good place to start when you have a need that must be addressed by magical means. Consider a vigil BEFORE you pay hundreds of dollars on spell casting. Having a vigil set for you by a qualified root worker is an excellent way to receive divination on the situation before you jump into spell kits or spell work. Shop carefully and look for a worker who is willing to make a connection with you. For most of us, it is about being a SPIRITUAL WORKER, not about claiming great powers or pretending to give a "100 percent guarantee of success." Black Cat Root Shack sells a wide variety of Lucky Mojo Brand products, either in stock now or SOON to be listed. See our other listings for Alleged Money Drawing, John the Conqueror, Fast Luck, Crown of Success, Follow Me Boy, Van Van, Fiery Wall of Protection, Come to Me, Love Me, Uncrossing, Blessing, Prosperity, Road Opener, Lodestone, Court Case, Reconciliation, Essence of Bend Over, Healing, Fire of Love, Hot Foot, Chinese Floor Wash, Peaceful Home, Wealthy Way, Stop Gossip, and Psychic Vision � Bath Crystals, Floor Washes, Sachet Powders, Condition Oils, Incense Powders and more!